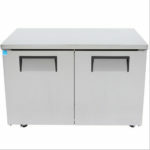 New Commercial Undercounter Freezer by PURE Manufacturing of Phoenix AZ, In Stock NOW! 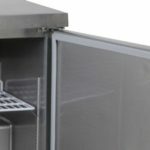 It tends to get a bit exhausting constantly running back and forth between your reach in refrigerator or freezer and your prep table, especially to grab your most used ingredients and products. 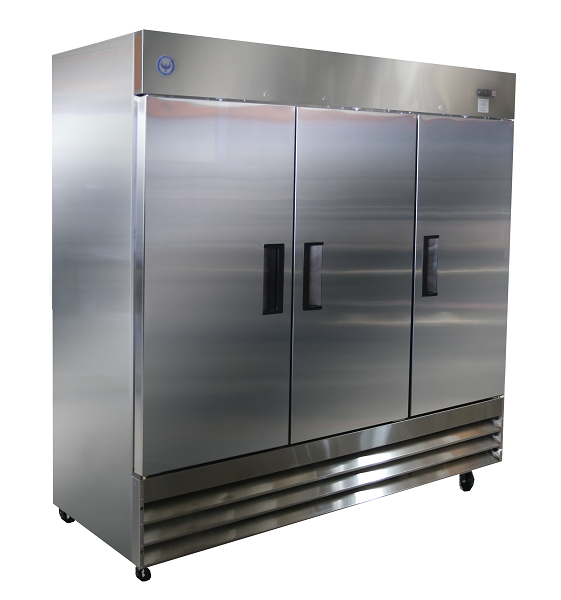 Our 48” undercounter freezer will help eliminate some of that issue this unit fits under any countertop creating ease of use and offering 11.9 cubic feet of cold storage. 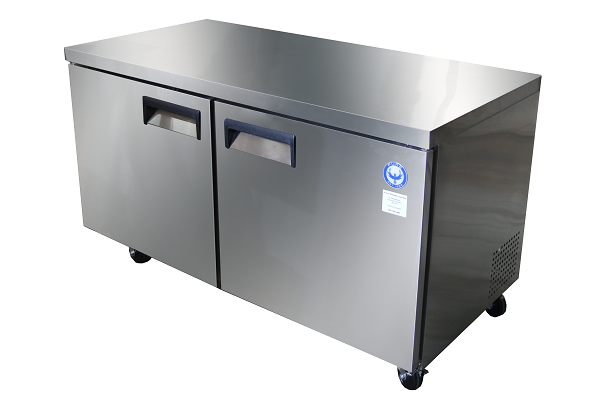 Our unit is made with a stainless steel interior and exterior making cleaning a breeze and keeping your kitchen space looking polished and modern. 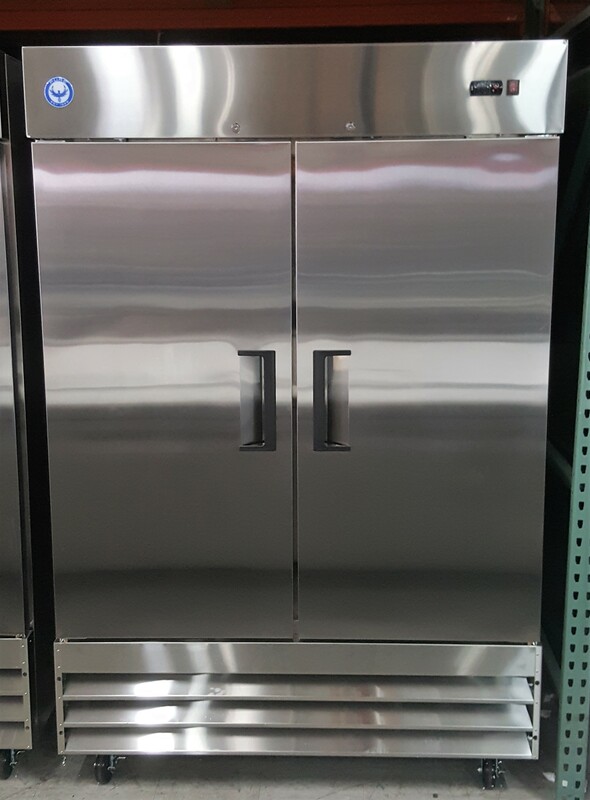 The outside of this unit is made of type 430 stainless steel. 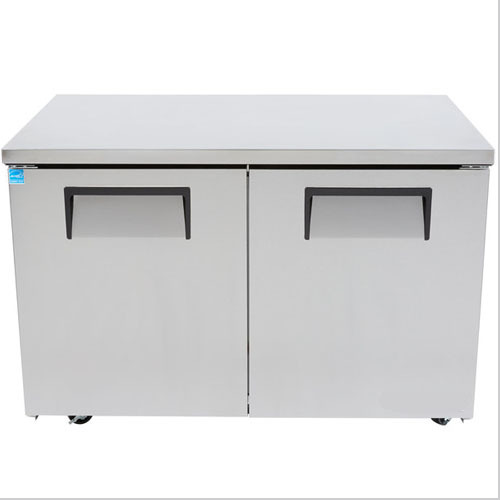 Plus, a corrosion-resistant 304 stainless steel interior makes it easy to clean and ensures you’ll never be set back by spills. 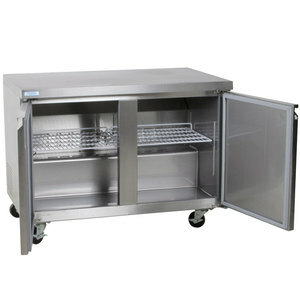 The self-closing doors come hinged on the right, but are field reversible with a field conversion kit. 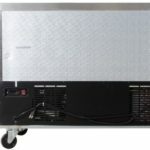 The rear and side-breathing refrigeration system is centered around a 1/3 hp compressor and a top mounted cooling fan which ensures even temperatures throughout the interior, even after the door is opened. 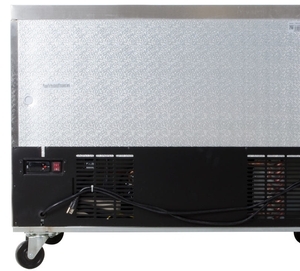 R-290 refrigerant helps this unit maintain -7 to 0 degrees Fahrenheit. 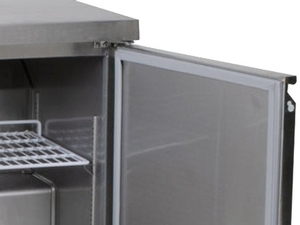 Adjustable plastic coated steel shelves let you adapt to changing menu needs. 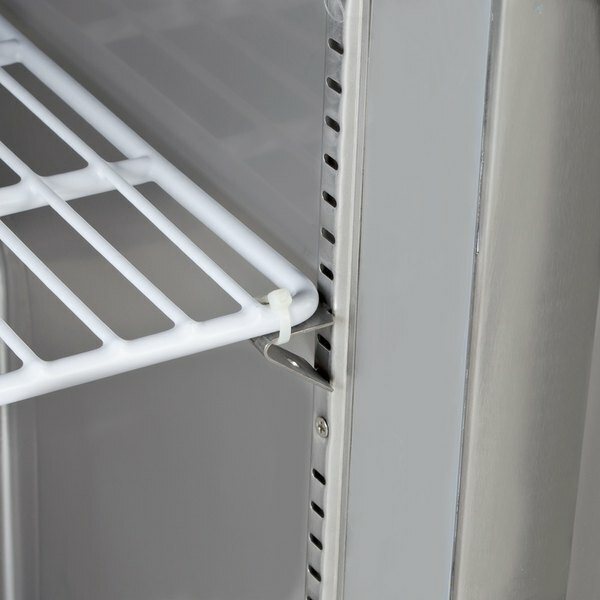 Each shelf has a 90 lb. shelf load capacity. 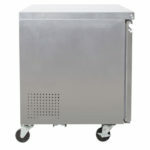 This freezer has removable door gaskets for easy cleaning and replacement. 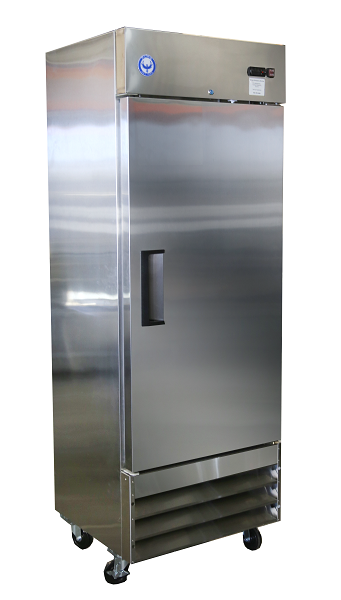 Be the first to review “PUCF48 48″ Undercounter Freezer” Click here to cancel reply.